Are you a Realtor or Investor? 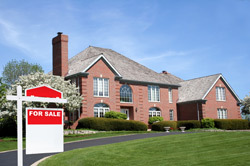 ACE Home Servicing specializes in preparing real estate for sale prior to and after a home inspection. It is advantageous for a property to be shown better prepared and well maintained. We complete all maintenance projects and Request to Remedy lists / Buyer Contingencies. Few companies are experienced and capable of everything we offer. We also do rehabs on investment properties, preparing them for quick sales or rental. As always, there is no need to call multiple contractors or obtain numerous inflated bids. No matter the size of the job or what the project entails, we're willing to work with you to perfect your real estate for prospective buyers. We look forward to servicing any of your real estate needs. Please call us at (614) 478-4223 with any questions or to schedule us.